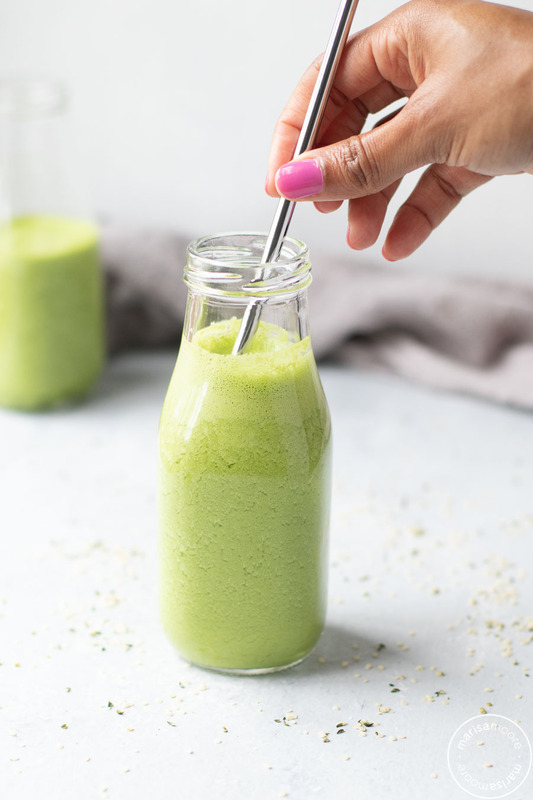 This hemp and greens smoothie is packed with protein and fresh ingredients to help boost healthy digestion! THis is my everyday smoothie. Well. Not EVERY day. I don’t drink smoothies daily but when I do have a smoothie, it’s often this one! It’s not only a great way to get your greens but it’s packed with ingredients to help boost healthy digestion. Hemp seeds are the star of this smoothie. 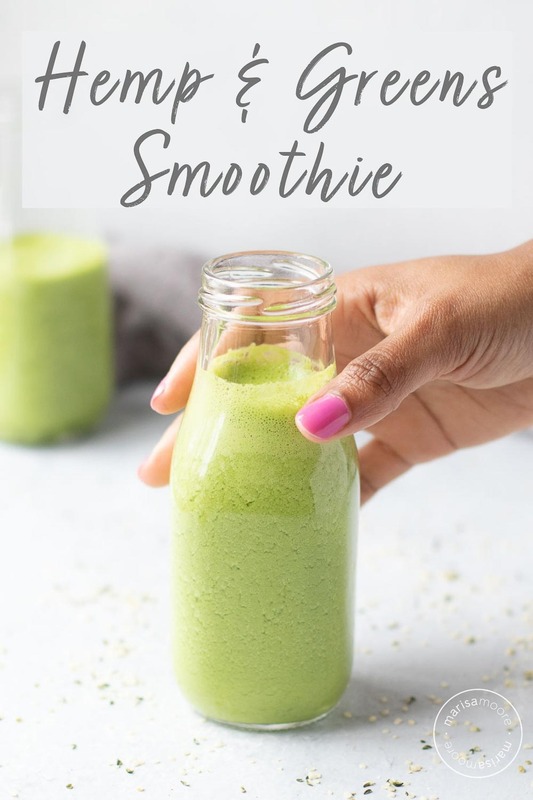 Three tablespoons of shelled hemp seeds deliver a full 10 grams of protein plus healthy fats and fiber so it will stick with you a lot longer than most smoothies of just fruit and vegetables. I use the hemp seeds instead of protein powder or yogurt – which would also be tasty if you do dairy. The banana is a natural source of prebiotics which helps feed the healthy bacteria in the gut to potentially boost digestive health. The banana also sweetens the smoothie so you don’t need to add honey or other sweeteners. I slice and freeze overripe bananas to get the most sweetness and of course to avoid tossing out brown bananas. The fresh ginger contains gingerol, the compound that lends ginger much of its anti-inflammatory properties. But it also adds a hint of spiciness to counter the sweet banana and pineapple flavors for a fresh finish. And pineapple is one of my favorite ways to get skin-nourishing vitamin C. In fact, just one cup of pineapple contains more than a full day’s supply of vitamin C. It’s also a source of bromelain, a protein-digesting enzyme that may make it easier to digest certain foods. This is why pineapple is often served after a meal as a digestive aid. That’s a lot of goodness. Right?! And to think it comes together in just a few minutes makes it even more appealing. 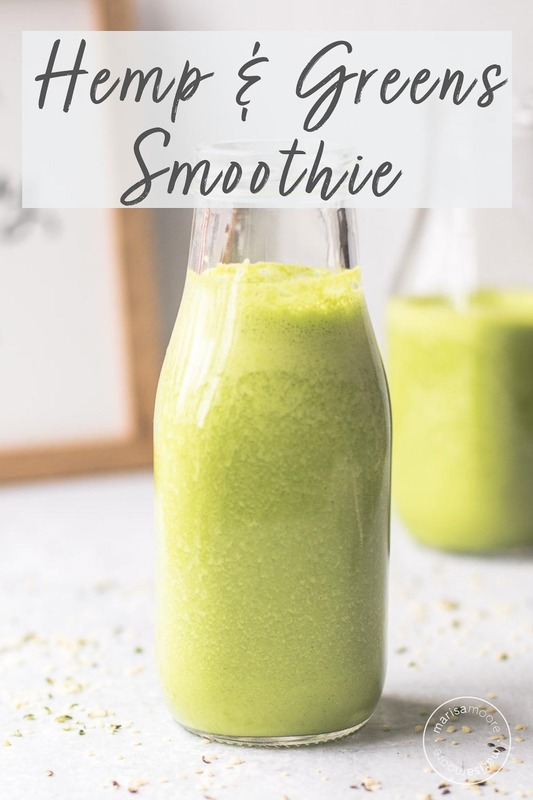 I know that it’s sometimes hard to stomach the idea of a green smoothie but once you try a few you’ll find that it can be quite refreshing. 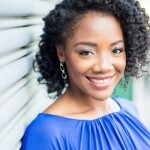 This green drink comes with lots of benefits so I hope you’ll give it a try soon! Tag me on Instagram when you do. I love seeing your eats in action and sharing your photos with a shoutout in my Stories. 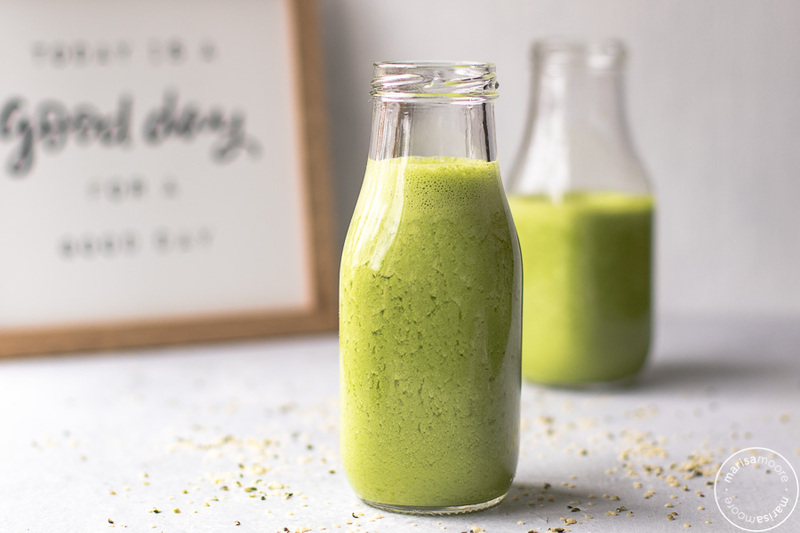 This Hemp and Greens smoothie is packed with protein and fresh ingredients to help boost healthy digestion! 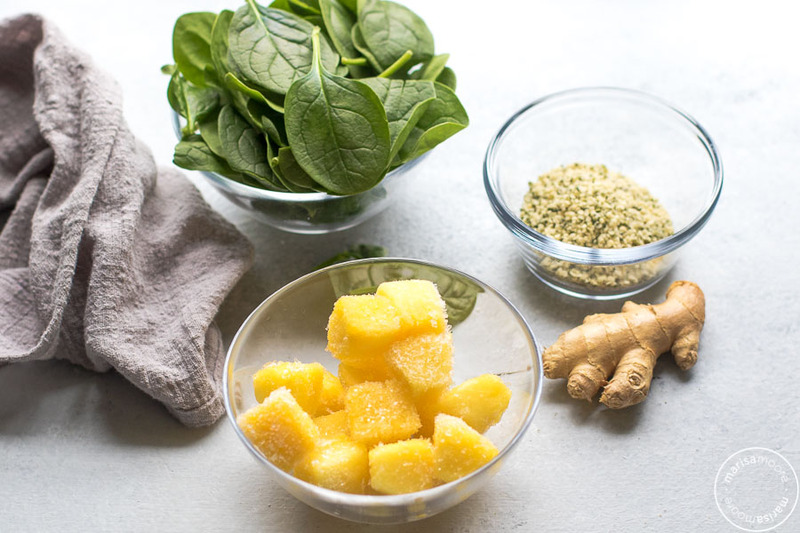 Made with fresh spinach, pineapple, banana, and hemp hearts, it's a light and refreshing drink for breakfast or a snack. Add all ingredients (in order) to a blender. Puree until smooth. This yields a hearty smoothie for 1 or two small smoothies!